It was just announced that Pawn Stars’ star Rick Harrison will be speaking at the GIA Symposium 2011. Rick Harrison is the owner of Gold and Silver Pawn shop which is the store featured on the hit show Pawn Stars. Mr. Harrison is going to be on the panel called “Everything Old is New Again – The Appeal of Auction, Estate, and Vintage Markets”. Rick Harrison knows what he’s talking about when it comes to auction, estate, and vintage markets because he has run his local pawn shop for over 30 years. The Gemological Institute of America (GIA) wanted Mr. Harrison, not only because of his fame, but because of his knowledge. Who better to speak about vintage items than the star of Pawn Stars? He is also very comfortable in social situations including in front of a camera. Mr. Harrison should draw a large crowd. Every year the National Pawnbrokers Association recognizes one pawnbroker as pawnbroker of the year. This year they selected Rick Harrison from Pawn Stars for his great work at his local pawn shop. 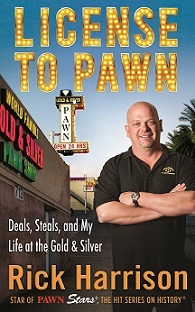 Rick Harrison, along with his dad, opened Gold and Silver Pawn Shop in Las Vegas in 1988 (the same year I was born). 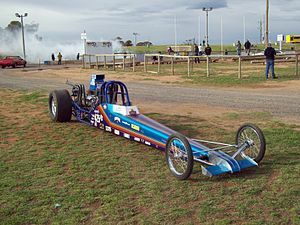 The NPA considers 22 years of business to be “young”. Ever since the History Channel selected them for the reality show Pawn Stars, their local pawn shop has shown the general public that pawn shops aren’t as seedy as once thought. They have represented the pawn industry in a good light and all of us pawnbrokers have him to thank. Not only does Pawn Stars represent pawnbroking positively, but it gives great insight into just how much knowledge a pawnbroker has. You have to be relatively smart and know a lot about a lot of things to succeed in this business. Rick Harrison is obviously a smart guy who knows a lot about history. This in turn helps him evaluate all the weird things that come in to his shop. In my opinion Rick Harrison not only deserves to win NPA Pawnbroker of the year but he deserves to win a lifetime achievement award. No one person has done so much for the pawn industry as Rick. Local pawn shop all over the country have seen an increase in business because people are not afraid to go to them anymore. They understand how pawn shops help people and are a great place to shop for things at a huge discount.